Let’s be in no doubt: the terror that struck Pulwama emanated from Pakistan. The suicide bomber may have been Kashmiri — but his engine room was in the Jaish headquarters in Pakistan: that’s where he got his training, his ammunition and his directions. Any pretence that groups like the Jaish are operating as independent ‘non state actors’ won't hold: the links between the Jaish leadership and the Pakistan army have been well documented for years now and have been internationally ratified by all, except your friends in Beijing. Let’s also not deflect the blame entirely onto the Pakistan army, as civilian regimes in your country tend to do. The government of Pakistan is your government, you are the de jure prime minister of Pakistan, its ‘elected’ chief executive. What happens in Pakistan occurs under your watch. We understand that it is the army and General Bajwa who call the shots — as the men in uniform have for the last seventy years — but you cannot escape your responsibility. If you seek credit for opening a door of friendship to India through the Kartarpur corridor, then you must also be held accountable for your failure to stop the terror tap that flows across the LOC into Kashmir. And that’s where the sadness comes. You are someone I have greatly admired as a cricketer, captain, philanthropist, and even as a neta. As a cricketer, you were a remarkable all-rounder, a true leader, someone who could inspire a group of talented but squabbling players to transform into a truly world-beating side. We delighted in your six hitting and fast bowling skills, we envied your physique and good looks, we were awestruck by your ability to make repeated comebacks from injury and re-invent your style each time. And when you won the World Cup in 1992, I was there at Melbourne to cheer the monumental last cricket act. For an entire generation of sub-continental cricket fans, you were a charismatic role model. When you devoted your life after cricket to building a cancer hospital, I was even more impressed. You had gone much further than any sportsman in the region in using your fame and glory to give back to society. You had actually walked the talk and contributed to a ‘naya’ Pakistan in a meaningful manner. When you entered politics in the late 1990s, I was cynical at first, but later, you won me over by your sheer persistence and your strident anti-corruption campaign. When I was repeatedly told that Imran the politician had compromised with extremist Islamist forces, I refused to blindly believe the naysayers. I remember how angry you were when an audience in Delhi once referred to you as ‘Taliban Khan’ — your rage seemed genuine, as did your conviction that the US-led drone attacks in Afghanistan were inimical to lasting peace. I understood that in politics, all types of compromises are made — but I still wanted to give you the benefit of doubt. When you became prime minister last year, I was delighted. You were, after all, the first Test cricketer to lead his country and it marked a landmark moment. Reports that the elections had been rigged by the army, and you were their ‘chosen one’ troubled me, but I still felt that you would not be remote-controlled by anyone. Your persona was surely much too strong to be dictated to by anyone for too long. I was also optimistic about the vexed Indo-Pak equation. No Pakistan prime minister had travelled as much through India and had as many friends in high places in this country: I was hopeful that you would break through the decades-old Indo-Pak wall of mistrust. And then, when you embarked on the Kartarpur project, I was convinced that maybe, you had been given sufficient space by the army to reach out to India. I came to Kartarpur as part of the media delegation because I wanted to be an observer to history in the making. Your speech at the holy Sikh site, where you asked the two countries to look forward and leave aside past antagonisms, touched a chord. When at a press conference, you promised to look into the tragic case of a young Indian prisoner stuck in a Pakistani jail, I felt heartened. You were making all the right moves, saying all the right things, pushing all the right buttons. This was the Imran Khan I had come to know and respect, a man seeking to create history beyond the boundary. Suddenly, you go silent, and find it tough to come up with any words of comfort and condemnation. 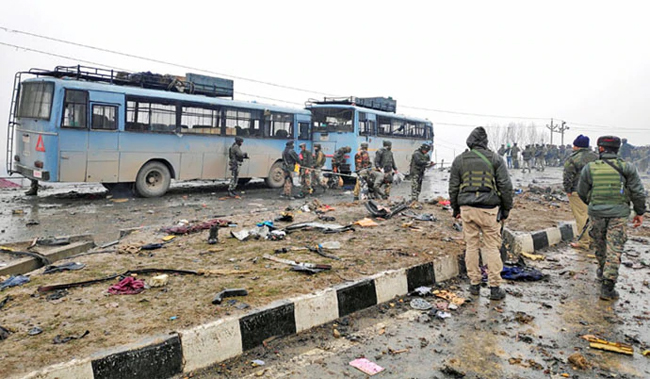 Suddenly, you can’t get yourself to act against those responsible for Pulwama — almost as if Masood Azhar is beyond your control. You, who never took a backstep on a cricket field, have surrendered to the military men who control your government. If you can’t act against Azhar, say so, rather than parrot the much-abused line that Kashmir is a disputed land, terror is localised and groups like the Jaish are freedom fighters. And if you can’t act against those who perpetrate terror against Indian citizens, what price our friendship and the endless hospitality you have enjoyed with so many of us Indians? Sorry Imran bhai, it’s time to walk the talk again: as a cricketer, you spoke out for neutral umpires with a vehemence that shook and changed the game; as a politician, you must speak out and act against the merchants of terror who seek to destroy communities. Hand over Masood Azhar to India, close down the terror camps along the border, ask the army to end its ‘1,000-year war’ with India. I know doing all this will almost certainly mean the end of your prime ministership, but the choice is yours: be ready to sacrifice a post for a higher calling, or risk losing all the goodwill you have built in this country. As I said at the outset, I write this with anger and sadness. The anger will perhaps slowly subside, the sadness will not go away.